Assuming you have more than one employee on staff, collaboration will play a crucial role in the way your business is conducted. 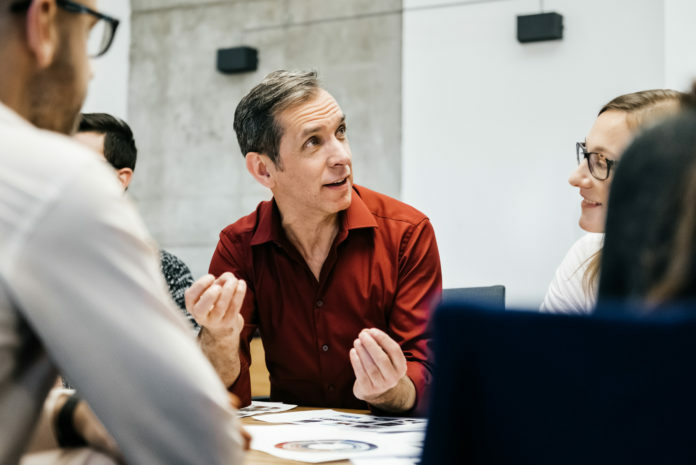 The benefits of effective communication within an organization – and with external parties such as customers and suppliers – are numerous, including increased productivity and efficiency, and lower operating costs. And while basic technology collaboration tools such as e-mail, instant messaging and video conferencing have now been around for many years, they continue to be updated and refined at breakneck speed. First and foremost, you need to make sure the infrastructure is in place to handle the present, and future, demands of collaboration-enabling solutions. This means having a strong, reliable network in place. The majority of businesses, from home offices to large globe-spanning enterprises, will already have some kind of wireless system in place, but getting online is only the first step to success. Can your network handle multiple people logging on at the same time? Are employees able to access your network on their own devices? Does it have the bandwidth to manage large data files, either on your physical servers or in the cloud? Are you able to seamlessly stream and download video? Does it have the ability to support the many collaboration-enabling software and applications? Do you have the capability to install IP-based phones? These are all important questions to consider, and ones that need to be constantly addressed not only as your organization grows, but also as network demands continue to increase with newer and more bandwidth intensive tools. One of the key drivers of increased bandwidth is the growing popularity of video, especially with regards to conferencing. More and more, people are abandoning traditional telephone land lines for online meetings with the added advantage of face-to-face communications. Whether using Skype for Business, or something more elaborate like Cisco TelePresence, video interaction brings people working from remote locations closer together, offering a sense of intimacy not achieved by simple voice contact. Video collaboration can not only increase efficiency, it can also be a great way for your company to attract new talent. As the latest generation to enter the workforce, Millennials have grown up in a world where video communication is not a sci-fi trope, but rather an everyday reality. As such, they expect these tools to be as commonplace in the workplace as the office water cooler. Luckily, the proliferation of video a communications tool is also driving down costs. Endpoint costs are seeing drops as high as 80 per cent of what they were a few years ago, and further expenses are being lowered thanks to the wide adoption of another key collaboration component: the cloud. The creation and development of cloud computing has been key to many advancements in collaboration solutions of the past year. Remote e-mail or server access, storage solutions such as Dropbox, even cloud video bridging; all these tools have been enabled by cloud technology and help businesses and individuals to be more flexible in the way they work and communicate. For small businesses and start-ups, especially, the cloud has allowed them to implement solutions quickly and cost-effectively. For larger organizations that already have existing investments, a hybrid cloud environment can be a cost-effective solution to expand the collaboration practice by integrating both cloud and on premises systems for a seamless user experience. Finally, it’s essential you consider security when executing your collaboration strategy. Most security experts agree it’s not a matter of if, but when, an organization will be compromised. To ensure you are prepared, make security a priority throughout your implementation process. A secure network is a must, but organizations should also create data retention plans and educate employees on best practices, especially with regards to sharing sensitive data and documents. In an environment where users bring their own devices, IT managers should implement mobility management solutions to ensure that client devices are properly configured and updated. Additionally, organizations can integrate cloud storage services with productivity software and mobile device platforms to add value, boost engagement and secure information flows. If you are unsure about the security effectiveness of your business, please speak with an expert who can consult on how to best minimize the risk of data leaks, while reaping the many benefits of collaboration solutions. Do you have the right collaboration tools for your organization? Get a CDW Canada collaboration consultation to assess your needs and goals.